One of the most wonderful aspects of human nature is our ability to respond when we see another human being in need. Anyone who watched TV through the ‘90s probably remembers the advertisements featuring the tear-streaked faces of potbellied children, images designed to tug on heart strings and open wallets. I remember experiencing a confusing mix of reactions to those ads: pity, the desire to help, but also a sense of helplessness in the face of such enormous suffering, and skepticism about whether my regular monthly donation would actually make a difference. The reality is that despite our best intentions, foreign aid projects sometimes fail to effectively help those who need it, and frequently, the progress made requires ongoing financial aid. Foreign aid needs to move in the direction of helping communities develop long term, sustainable strategies that the people themselves who are in need can eventually be responsible for. We happen to have a great example of that right here in Sandpoint. Mike and Jennifer Crooks moved their family and their equestrian business here from the Seattle area in 2008. 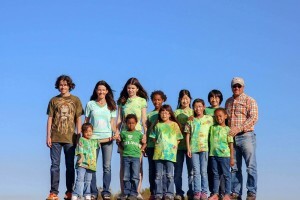 Their family includes 13 children, eight of whom were adopted from China and Ethiopia. The adoption process can be a grueling, eye-opening experience, and after going through this process numerous times, Jennifer came away with a deep seated desire to make a difference. Besides being rich in human history and culture, Ethiopia is severely challenged in supporting its population, and it has the highest percentage of orphans of any sub Saharan country, with a total of about 5 million. The annual average income per capita is a stunning $250. 83% of the population live in rural areas where more than half of Ethiopians do not have access to safe drinking water. An even larger percentage, 81%, don’t have access to sanitary facilities. When it comes to childhood mortality, one out of six children die before their fifth birthday. And if those aren’t enough disturbing statistics for you, out of the children that do grow up, only 13% enroll in secondary school, the equivalent of a high school education. With these kinds of challenges, it’s no surprise that Ethiopia is a country with enormous potential for growth and development. After her own personal experiences in rural Ethiopia, Jennifer decided that this was exactly where she wanted to focus her time and energy. In 2014, Jennifer founded the non-profit Uryadi’s Village, an international non-profit organization named after Jennifer’s Grand Prix level show jumper SF Uryadi, (a name which was later discovered to be associated with the Uryadi Festival in India which celebrates the coming together of the community to accomplish common goals, centered on the importance of the children). The mission of Uryadi’s Village is to uplift communities in crisis with the goal of creating self-sustainability. The talent for quick, decisive action that made Jennifer a formidable competitor in the highly competitive international equestrian world stood her in good stead in making this dream a reality, and she lost no time in making things happen on the ground in Ethiopia. Although the development of the permanent facilities for Uryadi’s Village is still in progress, she quickly took responsibility for the care of over 20 orphans in the rural village of Soddo who were in critical situations and needed immediate intervention. Some of these children were abandoned, most were malnourished if not starving, and all had fallen through the cracks of the system and were in very real danger of not surviving. The majority are 2 years old or younger. Right now, they and their nannies live in a rented facility. Although invaluable as a safe, stable location, this situation is a far cry from what Jennifer and the team at Uryadi’s Village envision for the orphans of Soddo. 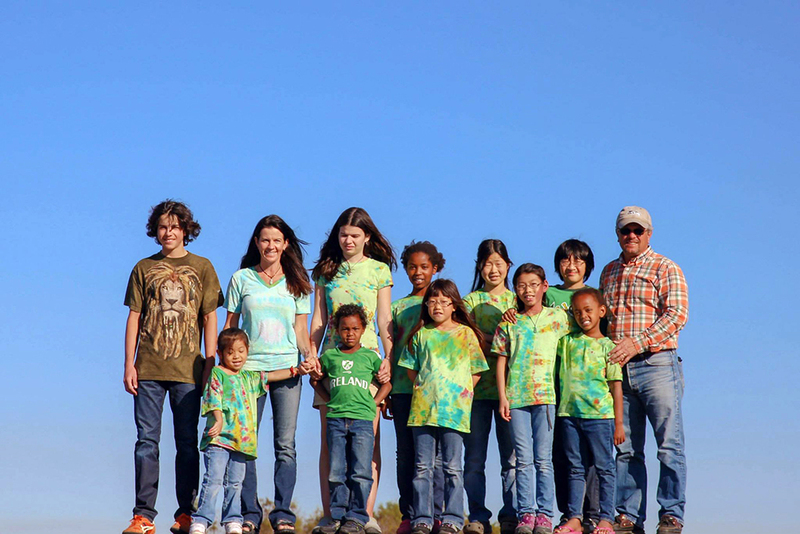 With the help of Warren Brush, a world renown permaculture teacher and modern day wise man that Jennifer met at Quail Springs Permaculture Center in California, Uryadi’s Village has developed a plan for a beautiful, productive, and ecologically sound family style village. Think traditional, round huts, built out of renewable local materials, grouped around a communal use area for eating, cooking, and just hanging out. Up to eight children of various ages, with a house mother, will call each hut home. They will grow up surrounded by verdant food forests growing foods like banana, mango, and avocado. This community has been mindfully designed around the natural environment, as well as Ethiopian culture. Our goal at Uryadi’s Village is to rebuild what years of unsustainable lifestyle practices and hardship have stripped away—the ability of the amazing Ethiopian people to support themselves and their children in a way that they themselves can be responsible for, and which will support them as they develop into a thriving, vibrant community. Although Uryadi’s Village is an international entity, part of its roots are here in Sandpoint, in this amazing community of kind, creative, and visionary people. Jennifer and her family call this town and its people home, and it’s because of communities like Sandpoint that dreams like that of Uryadi’s Village are even possible. We live in these places where people know and care about each other, and where conversations are possible, where creativity is embraced and invited, where growth is possible and where we live together, truly in community, and its only by experiencing those things ourselves that we become filled with the desire to bring those same beautiful, wonderful things to others. In an effort to develop our presence in Sandpoint, Uryadi’s Village will be partnering with Evan’s Brother’s Coffee to bring the people of our town an authentic Ethiopian coffee ceremony experience, complete with beans directly from Ethiopia, as well as some information about our current project, Wolayta Village. Come join us on March 12th at 6 pm at Evan’s Brother’s Coffee, and enjoy an evening of relaxation, coffee, and inspiring pictures and stories. We’d love to share our passion for changing the world with you.